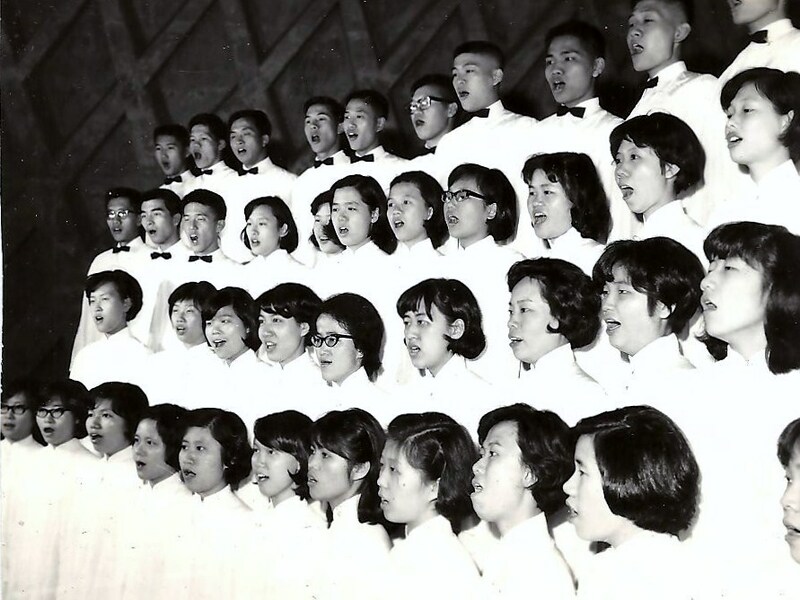 On a clear spring night in 1966 at Tunghai University (THU) in Taiwan, my freshmen classmate Nung-Yu Liu and I both passed our THU choir singing auditions and became new soprano members. I remember Nung-Yu and I ran joyously along a peach tree-lined path down to our dorm after the audition. Indeed, being a THU choir member would provide me with tremendous growth, joy, friendship, and beautiful memories in my life. I am extremely grateful to the profound teaching and choir conducting work given generously by Prof. Cheng De-An, Dr. Juanelva Rose, and Mrs. Elizabeth Rice, about 30-40 years ago at Tunghai. During my freshman year, Prof. Cheng De-An was our THU choir conductor. Thanks to Prof. Cheng, I learned to appreciate the beautiful and glorious music of Handel's Messiah for the first time. I remember our choir members often helped each other in learning the lyrics and the melody then. At leisure times on Tunghai campus, our choir members often gathered and sang in small groups for fun. 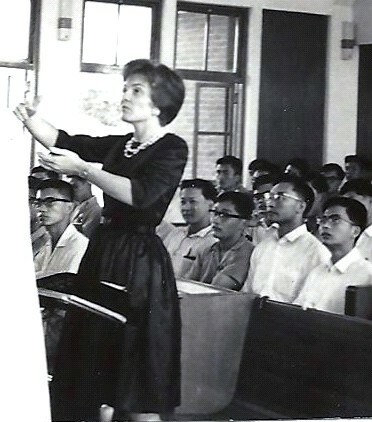 Besides choir conducting, Prof. Cheng also taught quantitative, qualitative, and instrumental analysis chemistry courses at THU in 1966 & 1969. Many Tunghai science and engineering students benefited from taking these essential chemistry classes. During 1966 and 1967 school years, Dr. Rose was the conductor of our THU choir. Besides choir conducting, Dr. Rose also taught several music appreciation and composing classes. The elegant and talented Miss Chang Huan was our choir pianist. 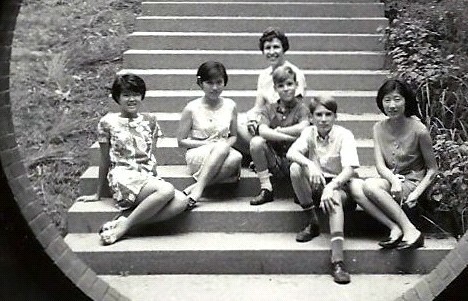 I remember Dr. Rose gave a beautiful and memorable clarinet recital at our Tunghai music hall in 1967. The beautiful clarinet sounds from Dr. Rose's recital still lingers in my mind when I think about her clarinet music that night. During my sophomore and junior years, Dr. Rose taught choir members many beautiful hymns, folk songs, and lovely nursery rhymes. I remember in 1967 I sang the 'Call to Remembrance' at a student summer camp in Taipei, and luckily won a small solo singing contest prize. 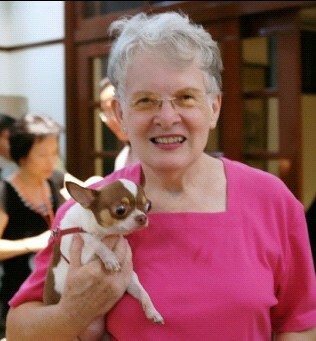 In summer of 2008, my husband and I had the opportunity to visit Dr. Rose at her Tunghai home. During that visit, we chatted about Tunghai, our careers, and origins of several of Dr. Rose's pretty Chinese paintings. Just before that visit, I saw Dr. Rose surrounded by her young adorable pupils who just finished a piano lesson with her. I was very glad to see Dr. Rose has been happy, successful, respected, and famous in Taiwan all these years! 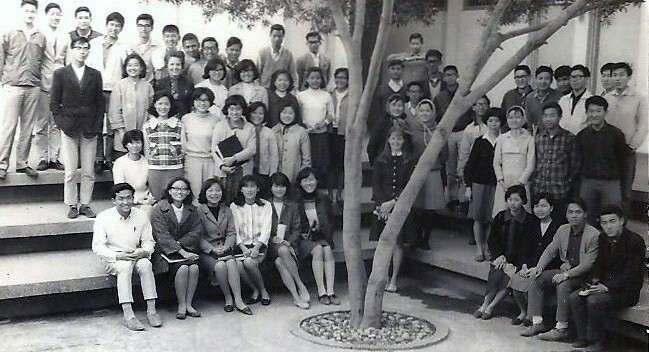 During the 1968 school year, Mrs. Rice was our THU Choir conductor. Mrs. Rice was warm and kind; extremely patient and experienced in teaching choir members. She continued to help me even after I moved to US for my graduate studies. I remember when I arrived at the crowded and noisy Chicago O'Hare airport from Taiwan in 1969; I couldn't find my friend who was supposed to pick me up there. Making matter worse, my fellow traveler started to sob. Feeling helpless at the middle of night, I called Mrs. Rice from O'Hare Airport and asked her for help. After Mrs. Rice made several long distance phone calls from Tunghai to Chicago, one of her US church friends called me at the airport. My fellow traveler and I were overjoyed. We immediately took a rather long taxi ride and rushed to Mrs. Rice's kind friend's home located in a Chicago suburb. After a long sleep and rest, my friend and I continued our journeys to our schools. 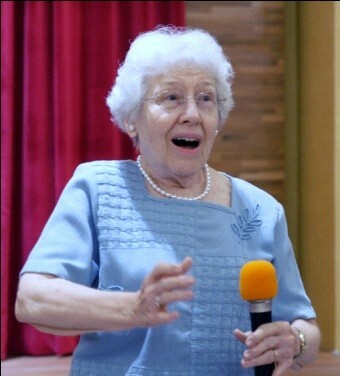 After Mrs. Rice left Tunghai and returned to US, she has been a vocal music teacher and a renowned vocalist in these past years. Recently I learned from Mrs. Rice that she has sung in the Robert Shaw Chorale, taught voice lessons in Georgia State University, and conducted Atlantic area church choirs. Approximately ten years ago, my colleague and I visited Mrs. Rice at Atlanta after attending a scientific conference. Together we chatted a lot about music, Southern food, and medical diagnostics. Together we also visited Mrs. Rice's eldest son David and David's wonderful family who lived nearby. Recently, Mrs. Rice has recovered gradually and steadily from her knee surgeries. Her recovery demonstrated to us her strong faith, dedication, and courage. I think Mrs. Rice serves as a shining example to all our THU University choir members. Our much anticipated 2012 Tunghai Choir reunion is soon approaching. How lucky so many of our choir members are amassing so that we will once again sing under Mrs. Rice and Ms. Rose's teaching and conducting. Before our rehearsals start, let us all give our beloved THU Choir conductors our most sincere thanks and best wishes!